At long last, the U.S. 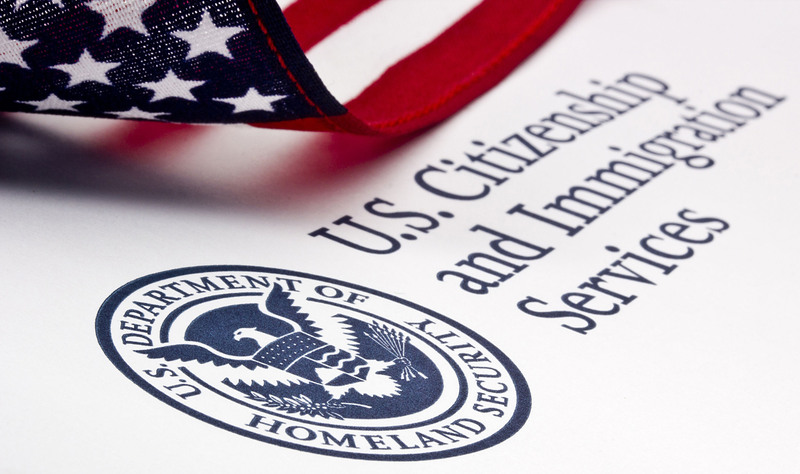 Citizenship and Immigration Services has announced that it will begin accepting applications for employment authorization documents for the dependent spouses of H1B visa holders (“H4”) under certain circumstances. This news is welcome for the thousands of intending immigrants who are in long lines awaiting a visa to become available so that they can file applications for permanent residence in the United States. For instance, if a person from India begins the employment-based permanent residence process today, he or she can expect to wait at least 10 years before they are eligible to file an application for permanent residence in the United States. For most spouses of these applicants, that has meant ten years without the authorization to work in the United States. Categories: Employment Law, Immigration | Tags: application, dependent spouses, H1B visa holders, immigrant petitions, Immigration, permanent residence, U.S. Citizenship and Immigration Services, USCIS | Permalink. Several lawyers have indicated that clients have received I-9 audit letters. It is estimated that at least 500 employers nationwide will be receiving Notices of Inspection (NOIs) in the coming weeks. The inspections could lead to civil penalties and even criminal indictments. NOIs will include requests for hiring, payroll and other records to determine compliance with employment eligibility verification laws. Employers will be expected to produce original I-9s within three days from service of the NOI. We have previously provided instructions for dealing with Immigration audits. If you would like additional information, please feel free to contact Glen Krebs at gkrebs@wyattfirm.com or 859-288-7409. We are also happy to assist you to conduct an internal I-9 audit and develop a basic immigration compliance plan. Categories: Employment Law, Immigration | Tags: audit, Employment Law, Employment Verification, I-9 forms, inspection | Permalink. With the current heat wave, anything “ICE”-related seems like a welcome change of pace. However, this may not be the case where “ICE” stands for the U.S. Immigration and Customs Enforcement. In the past decade, ICE has steadily increased its activity around the country, making audits of employers’ I-9 hiring records a common – and sometimes costly – occurrence. In June 2011, ICE announced that it would audit 1,000 employers around theUnited States. Though these audits will likely focus on industries known for hiring large volumes of undocumented workers, such as the construction, agriculture and hospitality industries, industries whose workers are privy to sensitive government information, such as the financial services, healthcare and transportation industries, are also particularly prone to audit. Notwithstanding these predictions, no employer is exempt from the hiring records requirements, and as such, every employer is at risk of stiff civil and even criminal penalties should an audit reveal noncompliance. U.S. law requires that employers complete a Form I-9 for every employee hired after 1986 within three days of the employee’s hire in order to verify such employee’s work authorization. These forms must be retained for the duration of the employee’s employment, and for at least one year after termination. Though the forms are relatively simple to fill out, penalties can add up quickly for mistakes, especially for employers with numerous employees. ICE generally provides employers with three days’ notice before initiating an I-9 audit. Each error identified by ICE can lead to a penalty from $110 to $1,100, and where an employer is found to be knowingly employing an unauthorized worker, penalties soar to between $365 and $16,000 per occurrence. The real danger is that, where an employee’s I-9 is lost or where an employer fails to re-verify a worker’s authorization after its expiration date, ICE assumes that the worker was undocumented, triggering stiffer penalties. An employer can minimize the risk of penalties by performing regular audits of its I-9 records. Audits can identify common mistakes, and allow employers to correct these mistakes to minimize penalties prior to being notified of an ICE audit. If you have questions about completing or storing I-9 forms, the U.S. Citizenship and Immigration Service has launched ‘I-9 Central,’ at www.uscis.gov/i-9central. I-9 Central includes information about employer and employee rights and responsibilities, step-by-step instructions for completing the form, and information on acceptable documents for establishing identity and employment authorization. It also includes a discussion of common mistakes to avoid when completing the form, guidance on how to correct errors and answers to employers’ questions about the I-9 process. For further guidance, contact Glen Krebs or Allison Grogan of Wyatt, Tarrant & Combs, LLP, at 859.233.2012. Categories: Employment Law, Immigration | Tags: audit, Employment Law, I-9, ICE, Immigration, investigation, U.S. Immigration and Customs Enforcement | Permalink.